The 2nd annual 2015 Cannabis World Congress and Business Exposition is taking place at New York City’s Jacob Javits convention center on June 17th – June 19th. The Cannabis World Congress and Business Expo is the nation’s most preeminent conference in the professional cannabis industry. 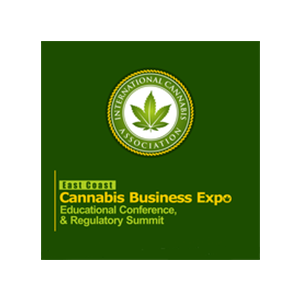 The exposition, now in its second year, is organized by The International Cannabis Association. The ICA has created a platform for individuals and businesses alike to get the necessary support in obtaining resources related to the marijuana industry. John Nicolazzo, MarijuanaDoctors.com’s co-founder and Chief Operating Officer, will be one of the featured speakers, as well as the host, and will be leading MarijuanaDoctors.com’s continuing medical education forum on the first day of the convention, June 17th from 11am-3pm. Doctors, Nurse Practitioners, and Registered Nurses are invited to attend as well as medical students and doctors in residency. The forum will be an equivalency to a four-hour continuing medical education course which is a requirement by the State of New York for medical professionals as outlined in the state legislature. The course is a pre-CME course and if approved by the State of New York, will be the state’s approved instruction for medical professionals. Guests are encouraged to register early for enrollment as seating for the course is limited.